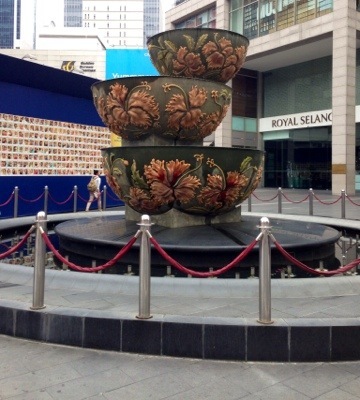 This post is for my friend who will be visiting KL next month with her family. 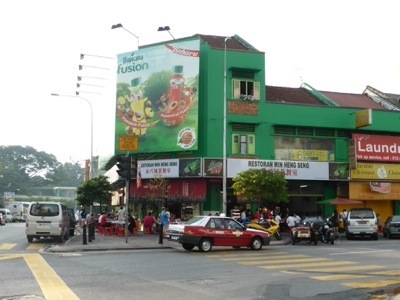 She asked me about good local eats in KL, so I am recommending Restoran Win Heng Seng at the junction of Jalan Barat and Jalan Imbi, near Bukit Bintang in KLCC. It is close to the majors hotels e.g. Westin, JW Marriott, Ritz Carlton as well as Pavilion where I stay. This is also where I go for my local breakfast when I am in KL – total spend of under RM5 for a bowl of wonton noodles and a drink! Cheap! 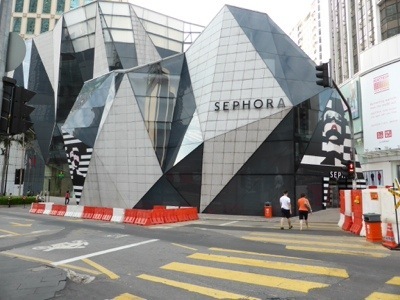 Cross Jalan Bukit Bintang and walk into the street between the Sephora and Uniglo. Keep walking until you reach the end of the street. This cafe is as local as it can get – one can mingle with the taxi drivers, office workers, families alike. 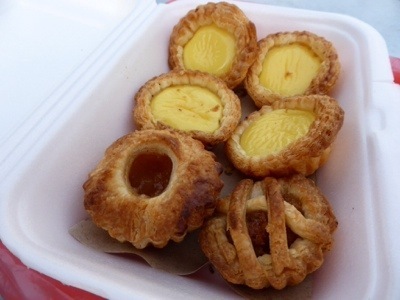 There are many stalls selling a myriad of hawker foodstuffs from fried noodles, soup noodles, tofu, rice (including nasi lemak – Malay rice delicacy) and pastries. The local tea and coffees are very nice. I always order Kopi-C Kosong Ais – Iced coffee with evaporated milk, no sugar. 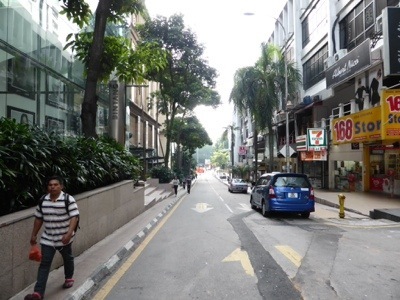 Take care if you order Teh-tarik – Malay pulled milk tea which is extremely sweet! I recommend sitting alfresco if you are early, before the sun gets too hot (around 7:30am – 8:30am) because it can get a bit stuffy and smoky from the woks inside the restaurant. You will be hassled by beggars, hawkers selling lottery tickets and charitable organisations seeking for donation – please check the charity workers’ ID tags since it is compulsory that they carry it! 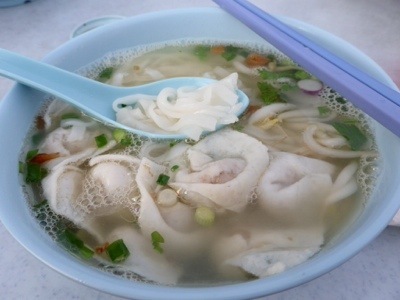 I always have fish-skin wonton noodles soup. The wonton skins are made from fish paste and filled with minced pork. The soup base has ikan billis (anchovies), parsleys and bean sprouts – and a LOT of MSG! Very delicious, but still, don’t drink the broth! 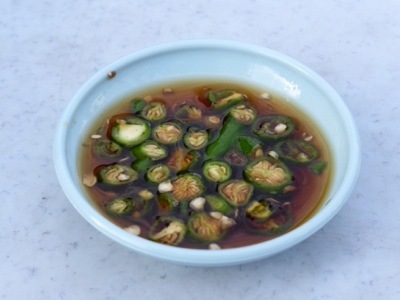 Accompaniment to the noodles: Light soy with green chilies for extra kick! After breakfast, it’s back to Pavilion Mall for window-shopping. The mall only opens at 10am though. 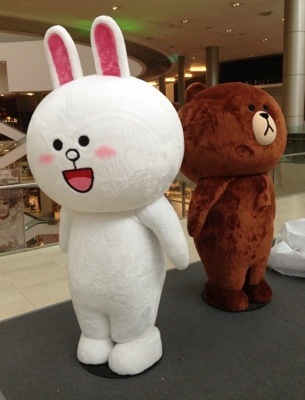 Entrance to Pavilion Mall: The LINE android app mascot saying ‘Hi’! 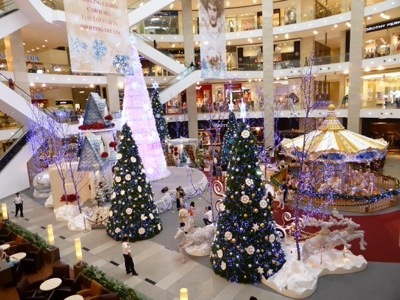 I reckon the Christmas decoration in Pavilion Mall is the best in KL! There are lots of activities, meaning it is very noisy which drives me KRAZY! 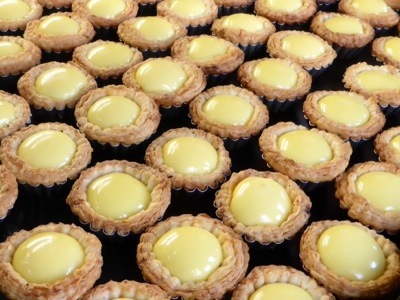 This entry was posted in Coffee Shop, Kuala Lumpur, Restaurant Review and tagged Breakfast in Kuala Lumpur, Egg tarts, KL, KLCC, Local KL Coffee, Pavilion Mall Christmas 2013, Restoran Win Heng Seng, Siew Bao, Wonton Fish-Skin Noodles. Bookmark the permalink. I love looking at different Christmas decorations from around the world. 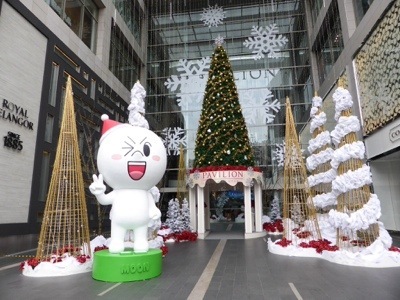 So many Christmas trees at Pavilion Mall, I like the non-traditional ones at the entrance. No worries Frieda! Hope u enjoy KL!